SingleMum Network offers great value for money – with advertising options to suit every budget! We host most types of banners and formats, including graphics, text, jpg, png, gif animation and flash. Ads and banners are hosted on a monthly basis, with unlimited impressions and click-throughs to your ad link! Ask us about two-or-more ad placement discounts! 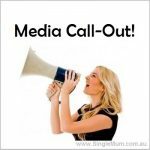 As an effective “branding” budget advertising option, SingleMum.com.au offers Product Reviews, Book Reviews and also runs Competitions. Our “Mums Product Review Panel” is a fantastic way to get your product “out there!” in the Australian parenting target market! A panel of Australian single mums can review your product. You can see the Single Mum Product Review Panel here or Contact us for further details. Do you have a special request, or need more information about SingleMum.com.au advertising options? Contact us!